The anti-cancer vaccine would contain a certain type of stem cell that could train the immune system to attack the growth of tumours, according to scientists. Known as induced pluripotent stem cells (iPS), the stem cell was discovered by researchers from Stanford University School of Medicine. They found that injecting iPS cells that genetically match the patient could prepare the immune system to target different types of cancer as they develop inside the body. The stem cells, which are developmentally immature, were found to build an immune response against the disease in mice because they contain "remarkable" similarities to cancer cells. They are made using cell samples from skin or blood, which are reprogrammed to mimic embryonic stem cells - meaning they can develop into any type of cell in the body. In the scientists’ study, the iPS cells were tested on four groups of mice who had artificially induced breast cancer - injecting them once a week for four weeks. 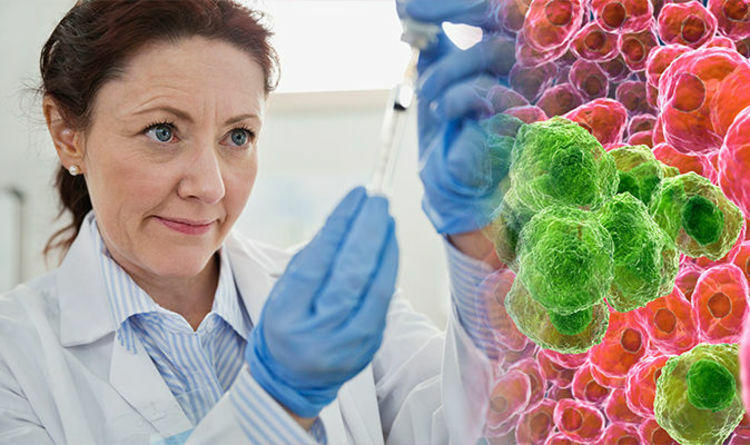 One group was injected with a control solution, one was given a vaccine with genetically matching iPS cells, another received an injection containing adjuvant - an immune-stimulating agent, and another group was given a combination of iPS cells and adjuvant. Within four weeks, breast cancer tumours were rejected by 70 per cent of the injected mice, while 30 per cent had significantly smaller tumours. Two of the mice were able to completely reject the cancerous cells and live for more than a year after the injection. Researchers obtained similar results when they transplanted lung cancer cells into mice. Dr Joseph Wu, director of Stanford's Cardiovascular Institute, said: "We've learned that iPS cells are very similar on their surface to tumour cells. "When we immunised an animal with genetically matching iPS cells, the immune system could be primed to reject the development of tumours in the future. "Pending replication in humans, our findings indicate these cells may one day serve as a true patient-specific cancer vaccine." The results were published in the journal Cell Stem Cell. Scientists believe iPS cells could eventually be used as part of cancer treatments alongside chemotherapy and radiation therapy. Researchers are looking to test the vaccine in samples of human cancers next. Dr Wu said: "Although much research remains to be done, the concept itself is pretty simple. We would take your blood, make iPS cells and then inject the cells to prevent future cancers. Jane Murphy, a clinical nurse specialist at Breast Cancer Care, added: "It's incredibly early days, but this fascinating research could herald a new, more effective way of treating cancer. It will be very exciting to see if similar results are eventually replicated on humans. "Reprogramming the immune system to stop the development of tumours may save countless numbers of lives as well as spare many from gruelling, debilitating treatment. "However, this stage is a long way off so it is vital people get to know all the signs and symptoms of breast cancer. This can lead to an earlier diagnosis, which in turn may save lives. Anyone with questions can call Breast Cancer Care nurse's free on 0808 800 6000 or visit breastcancercare.org.uk. "I'm very excited about the future possibilities." Cancer research scientists have created a nanorobot that can successfully shrink tumours by cutting off their blood supply.